CACI International (NYSE: CACI) has won a potential four-year, $91 million task order to help a U.S. Army organization research, develop and evaluate airborne intelligence systems. The company said Monday it will assist the Flight Activity of the Army’s Communications-Electronics Research, Development and Engineering Center in efforts to maintain, integrate, operate and provide training support for airborne platform systems that support intelligence, surveillance and reconnaissance missions. Work also covers prototype development, electronic and mechanical engineering design, integrated logistics and flight and ground operations support services. 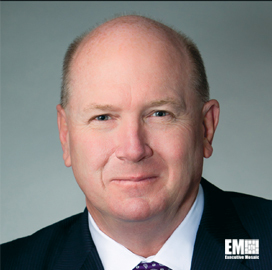 CACI President and CEO Ken Asbury said the company aims to help address defense and intelligence customers’ requirements as well as safeguard troops and the country. The company will also work with CFA to design, build, test and sustain radio frequency, electro-optical, thermal, radar and acoustic technologies. The Army awarded the task order through the Rapid Response-Third Generation contract vehicle.